This morning I have my last Mother's Day to share. 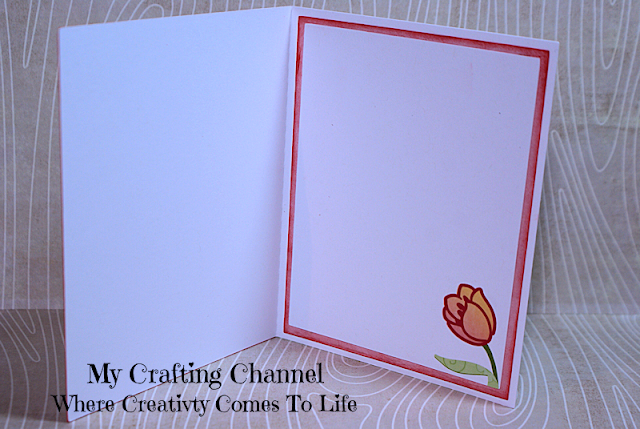 I made this card a while back and now I can not remember who's fies I used. As soon as I run across the files I will come back and list them in the recipe below. Very pretty card! The flower pot is so gorgeous! I just love the background behind the flower pot! The way you decorated the inside looks so amazing! So Pretty Nana! Lovely Flowers! Gorgeous! The design is adorable-the tulips are beautiful! 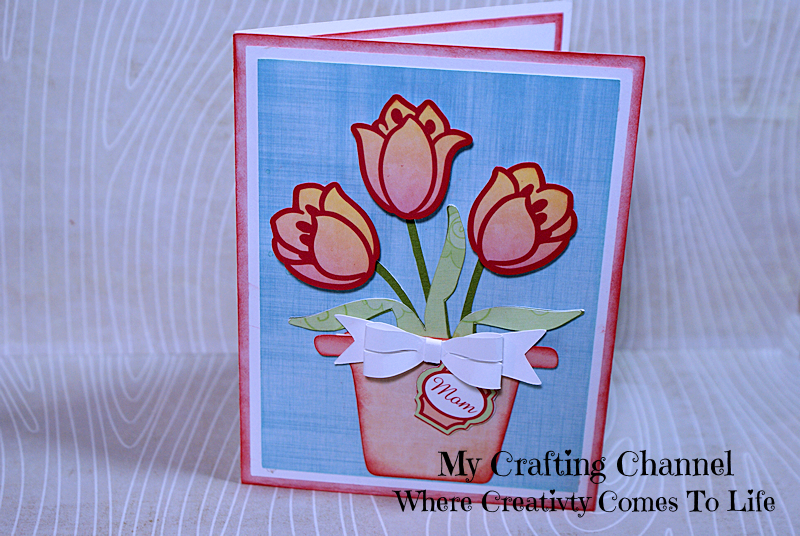 What a lovely pot of tulips on a lovely card! Very pretty Nana-love the addition of the bow! Such a lovely card!! Love the flower pot & pretty bow too! Awesome job my friend!